Christmas crafts and DIY home decorating ideas. 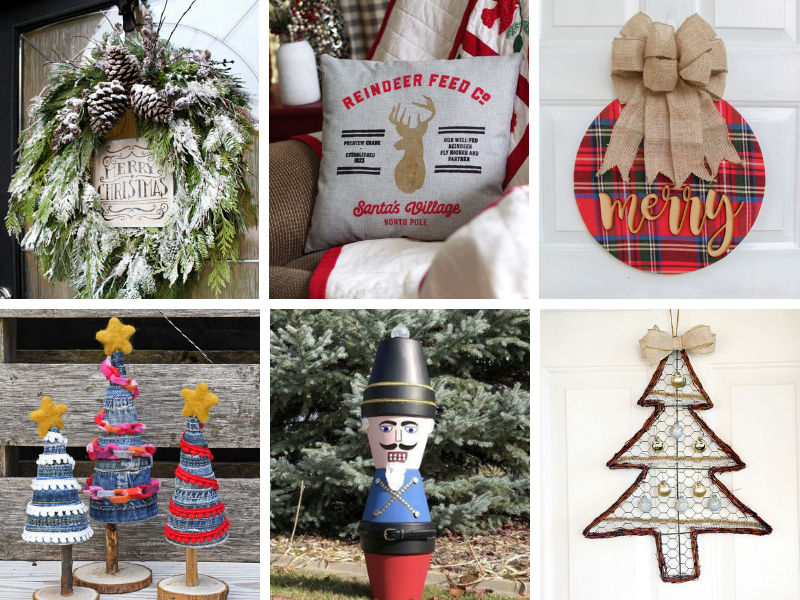 From simple to elegant, these budget-friendly ideas will help you create a beautiful holiday home. Christmas crafts might be my favorite kinds of crafts! 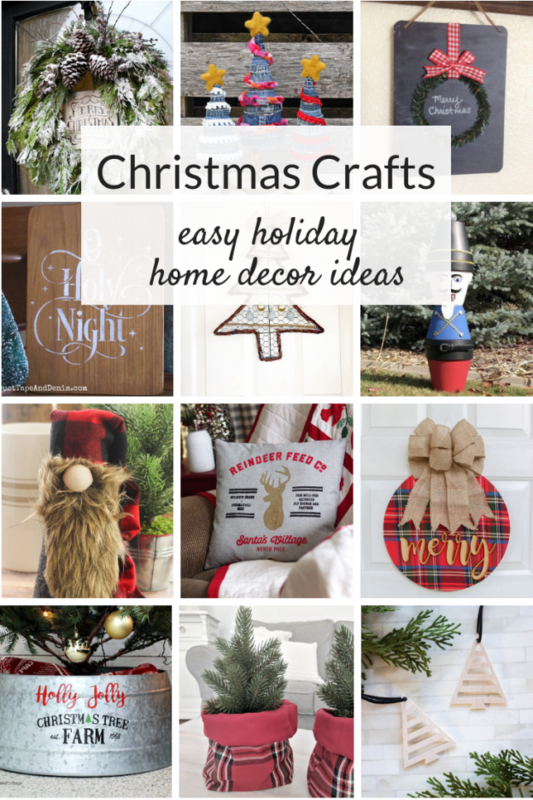 I always enjoy making my own home decor for the holidays, and these ideas I’m sharing today are great if you’re on a budget. 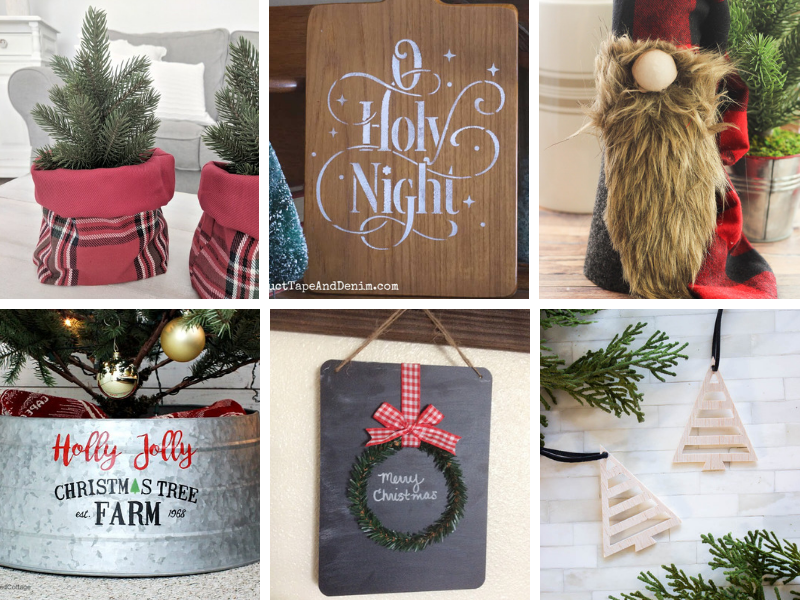 They are simple and easy, and can suit any kind of holiday decor, from rustic to elegant! This entry was posted in Made It Myself, Merry Monday Link Party on December 2, 2018 by Two Purple Couches. Thank you so much for the feature Emily and thanks for hosting a wonderful place for all of us to share our creations. Thanks for featuring my Christmas trees. Have a fabulous week. Can’t get enough Christmas ideas especially for the years ahead. Those Denim Christmas Trees look nice.